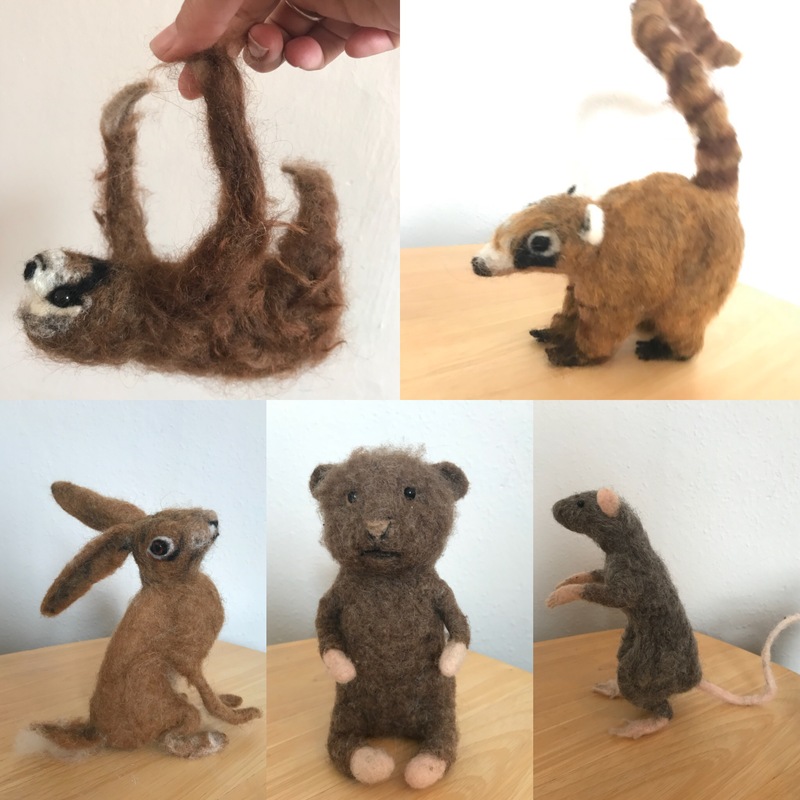 Two day needle felting workshop learning to make wired armature animals. Refreshments provided, bring your own packed lunch or there are lovely cafes that do takeaways nearby. You’ll make an animal of your choice undying a skeleton wife frame and building up on top of that so you have a fully poseable animal in the correct proportions. The way I teach means you will learn the skills to make any other creature and develop your own style. Suitable for beginners or more experienced felters, though it will be hard work for a beginner, all are welcome. Please let me know before the workshop what animal you would like to make. if you aren’t sure, I would recommend a hare as covering most techniques. Small group, maximum of 8 so you get plenty of attention.